The Tofino Co-op will no longer provide plastic bags, following in the footsteps of the Ucluelet location that already made the change earlier this year. A local surf group on Vancouver Island has chalked up another victory in its battle against plastic bags. The people behind Surfrider Pacific Rim — a coalition passionate about cleaning up the ocean and beaches — have convinced businesses in both Tofino and Ucluelet to discontinue using plastic bags and instead only use re-useable cloth bags or paper. Following in the footsteps of the Ucluelet Co-op, which eliminated plastic bags earlier this year, the Tofino Co-op will offer paper bags for 10 cents each, reusable cloth bags for $1, and free cardboard boxes to cart groceries home in, according to Surfrider Pacific Rim chair Michelle Hall. Hall added free re-useable bags created by Surfrider’s Stitch ‘n’ Beach group will be available at the Co-op’s entrance. Anyone with clean bags to donate can drop them off at either the Tofino or Ucluelet Co-ops. 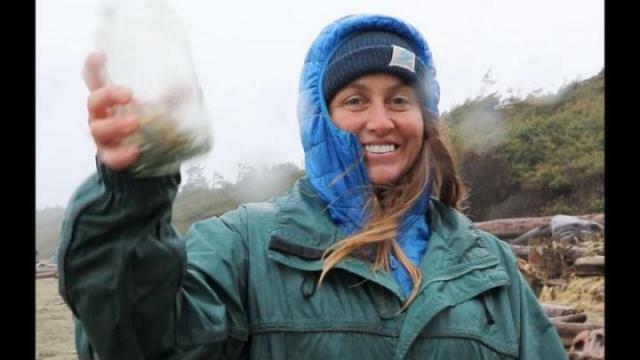 Hall said moving on from plastic bags should be a no-brainer by now as West Coasters are well aware of what discarded plastics do to beaches and sea life. “Plastic bags were invented as a convenience for shopping, part of the throwaway lifestyle before we knew better. But now we all do know better,” she said. Hall is in Victoria this week to help lobby for a plastic bag ban in the province’s capital. “It makes sense for Victoria to lead the way as the capital of B.C., so that it can support all of the communities in BC who might have struggled with the resources to research and enforce a ban,” she said adding Victoria chapter manager for Surfrider Vancouver Island Gillian Montgomery has been working on banning plastic bags for several years. She said she has reached out to Tofino mayor Josie Osborne and is researching other communities that have banned plastic bags, but that education must come first. She noted Tofino’s municipal council supported a voluntary plastic bag ban in 2007. She said a survey will begin circulating this month to collect information on plastic bag use and ideas for transitioning away from them.